The Scottish Banner digital download edition is available in PDF format. This format has been chosen due to its flexibility and compatibility with most computers, tablets and mobile phones. If you don’t have a PDF viewer, try Adobe Reader. 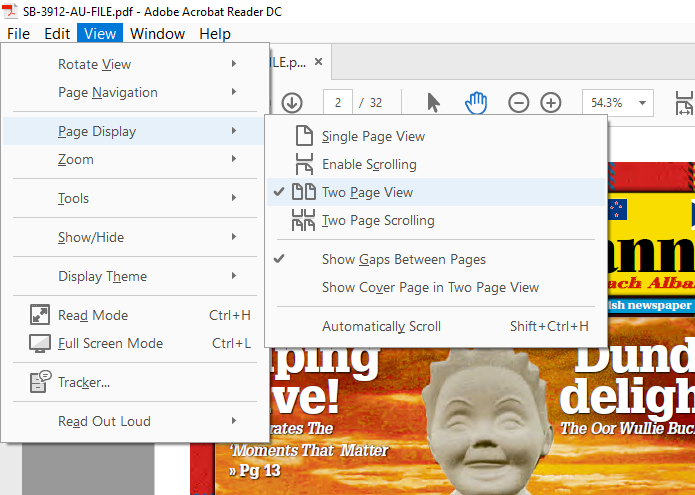 If you want to view pages side by side in Adobe Reader on a Microsoft Windows computer, look under the View menu for Page Display > Two Page View. 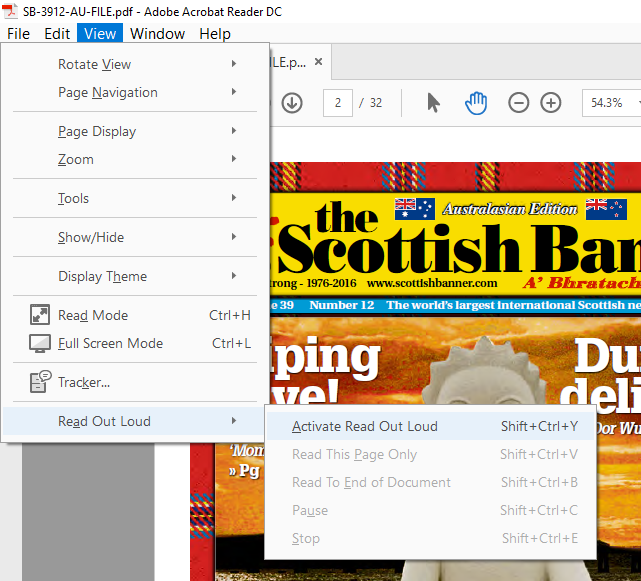 Adobe Reader can read articles out loud. Under the View menu, select Read Out Loud > Activate Read out Loud. Once activated, click on any article to be read the text. Make sure the volume is turned up!